The presence of death on a constant basis reduces other parts of life to insignificance. That truism is at the heart of Jeremy P. Maxwell’s Brotherhood in Combat: How African Americans Found Equality in Korea and Vietnam (University of Oklahoma Press, 224 pp. $29.95, hardcover; $24.95, Kindle). Historians have previously studied the book’s topic; Maxwell reconfirms that front-line soldiers who shared war-zone dangers transcended racial biases and successfully integrated. “This project started out,” Maxwell—the first Defense POW/MIA Accounting Agency Postdoctoral Fellow at the University of Southern Mississippi’s Dale Center for the Study of War and Society—says, “as a dissertation for my PhD at Queen’s University Belfast.” The final product reflects extensive research in many archives across America. Maxwell often proves a point by citing twentieth century historians; his judicious choice of their material livens old text. Brotherhood in Combat limits its focus to an evaluation of African American experiences in the Army and Marine Corps beginning with Executive Order 9981 in July 1948 through the end of the Vietnam War in 1975. It centers on Maxwell’s premise that racial tensions in combat units did not mirror those in rear units—and throughout America. In a long Introduction, Maxwell puts segregation in United States military history into perspective from its beginnings, and sets the stage for the entire study. From there, his research details the nation’s political and social climates prior to the Korean War to show why and how President Harry Truman’s Executive Order 9981 integrated the military. Maxwell then cites Korean War battlefield behavior that finalized the bonding between races. That was during the war. Afterward, in peacetime, African Americans still faced direct and institutional discrimination in the military. Concentrating on the actions of President Lyndon Johnson in the Vietnam War era, Maxwell finds similarities in Truman’s actions before and during the Korean War. Sharing dangers of combat did the most to break down racial barriers in Vietnam, he says, even while such tensions persisted in America. As part of showing that the constant presence of death changes attitudes, Maxwell describes the environments of the Korea and Vietnam wars as background for clarifying the teamwork and heroics performed by front-line African American fighting men. The late Walter Dean Myers’ acclaimed 1988 Young Adult Vietnam War novel, Fallen Angels (Scholastic, 336 pp., $9.99, paper), is today being featured as assigned reading in high school English, history, and social studies classes across the nation. 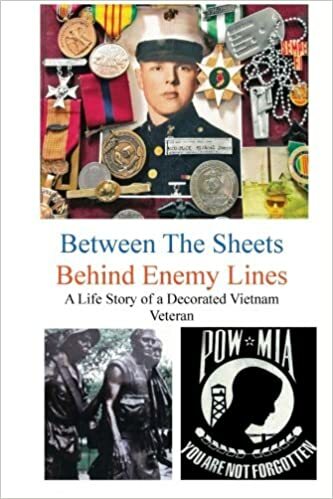 While written in the first-person and appearing at first glance to be autobiographical, the story is actually a tribute to Myers’ brother, Thomas Wayne “Sonny” Myers, who died in Vietnam in 1968 and to whom the book is dedicated. It’s told through his eyes. In the book, names have been changed to protect the innocent. But we easily understand the stories of main character Richie Perry and his comrades who serve in an unidentified unit in Vietnam. Though there are a few mechanical and continuity errors—including weapon caliber and nomenclature—Myers gives us a compact, easy-to-read book. Meyers begins as Perry finishes high school and realizes that there is no money in the family for college and that the mean streets hold no future. He believes that the military just might be a way out of town. His adventures through the selection and training processes are chronicled with quite readable dialogue. We get almost half way through the book before “fallen angels” are referred to. Myers uses the phrase as a metaphor for the random and senseless loss of life and innocence suffered in the war zone. Some of Perry’s friends and some new guys are wounded, some go home, some stay and re-up. The story contains a balanced mix of experiences and recollections. As a high school classroom exercise, the novel provides a suitable exposure to the battlefield and its denizens on both sides—as well as a platform for student discussions, conversations, and learning about family war experiences. There is the potential for healing and sharing, as well as for enjoying a good story about a bunch of young men caught up in a nasty war. Twenty-three men recall “untold truths” in Post 8195: Black Soldiers Tell Their Vietnam Stories (Beckham, 228 pp. $24.95, hardcover; $17.95, paper) edited by Bobby White. Far beyond their confrontations with the North Vietnamese Army and the Viet Cong, the men still battle post-traumatic stress disorder. These twenty-three men served in every branch of the service and performed the duties expected of them with lasting pride. A majority of them were infantrymen and remember horrific episodes from the thick of combat. Their gut-level candidness exceeds what is found in most Vietnam War books. Mostly draftees, the men express controlled anger regarding racism during their time in Vietnam. They recognized that a racial bias existed, but lived with it. Several became squad leaders. The VFW Post in West Park, Florida, under the guidance of Bobby White, began a program to counsel veterans in multiple ways, especially those with PTSD. Called Stone of Hope, the program is an extension of one offered by the local Vet Center. White, retired from a thirty-two year career with the VA, organized a rehabilitation program that emphasized transcendental meditation, yoga, and chiropractic. Post 8195 grew from this program and enhanced the men’s recovery from PTSD. Today, most of the men are in long-term marriages, have families and children, and enjoy retirement benefits earned from civilian careers.